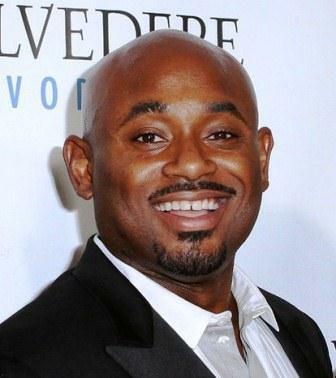 It took only 900 words for Steve Stoute to become the talk of the music industry. The marketing executive, who has connected the likes of McDonald's and Target with hip hop culture through his Translation agency, took aim at the Grammy Awards with a full-page ad in the Feb. 20 New York Times calling out the Recording Academy (NARAS) and president Neil Portnow for being out of touch with the mainstream and failing to give awards to such hipper acts as Eminem and Justin Bieber. (NARAS and Grammy producer Ken Ehrlich have not responded to the Hollywood Reporter's requests for comment.) With ratings hitting a ten-year high for the CBS telecast and reviews generally positive, the ad had many in the music biz asking: Why? THR spoke to the author himself the morning after his editorial went viral. THR: What was the impetus for your open letter to the Grammys? Was it when Arcade Fire won for Album of the Year? Steve Stoute: What honestly triggered it was sitting with some really big credible artists after the show, and hearing them complaining that, "This is crazy," "We need to start our own show," or "This doesn't make any sense." For me, it wasn't Arcade Fire winning that was the problem, it was them performing twice. After the backstage moment, the production was set for them to perform again. But if Eminem had won, would he have performed again? That's when it was, like, "This is fake now." THR: But if you take issue with the results, aren't the Grammy voters to blame? Stoute: When the voting system is not clear to all, things like this happen. Are people asking, what's the relationship like between the voters and the producers? THR: Are you implying that the Grammys are fixed? Stoute: I'm implying that the Grammys are flawed, and that they need to acknowledge it finally. THR: And that was the intent of the ad? Stoute: The intent was to point out that the popular artists are used to sell the show and to get ratings. In fact, NARAS publicized that it was the highest rated Grammys since 2001, yet those same artists are not getting the critical recognition they deserve. The Grammys didn't use Esperanza Spalding in the promos to sell the show. They used Justin Bieber and Eminem. Yet Eminem, who's nominated for 10 awards, doesn't win Album of the Year. Arcade Fire does. Like when the Marshall Mathers LP, which has sold 19 million copies around the world and is one of the greatest albums ever made, lost out to Steely Dan. Or when U2 lost to [the] O Brother, Where Art Thou? [soundtrack]. It doesn't stop. THR: What would satisfy you and the unnamed artists you're speaking for? Stoute: If the voting system was clear and the artists had a chance to vote on themselves in a way that was in fact true. In the film world, no one ever complains about the SAG Awards. People love that show. It's as credible as credible gets. Even with the Oscars, if King's Speech beats The Social Network, it's not like they asked the guys from Social Network to go onstage and perform, and then put the camera on them and say, "...and the winner is not you." THR: But isn't that what awards shows do? There is that age-old mantra that says it's an honor just to be nominated. Stoute: That's fine, but you can't ask people to perform and use those same performers to promo the show in order to get the ratings. That's where it becomes unfair. The whole thing just doesn't look right... Also, it's not like the Grammys pay for these performances. Those budgets come out of the managers' pockets and the label's. To go through that expense, it's only fair that the artists' expectations can be managed with a fair voting process that everybody understands. THR: On the other hand, you have those artists who may call their managers asking, "Why am I not performing on the Grammys?" Stoute: They've run out of that. Jay-Z was nominated and didn't show up for the awards at all. People are just going to start not showing up. Stoute: Because there are many people who hadn't even heard of her. By the way, this was her third album, not her first, but she wins Best New Artist over Drake and Justin Bieber? How did this happen? I was sitting there watching the awards show with very prominent executives, one of them had to Google her. And I'm not saying I don't like her music, because that's not the point. What Drake and Justin Bieber did to cut through and become global brands, it's hard for anybody to argue that they're not Best New Artist. THR: Looking back at Grammy history, this isn't exactly a new phenomenon. The Recording Academy has long been notorious for awarding the odd man -- or band -- out. But you seem to hone in on hip hop specifically. Do you feel that it's being shunned as a genre? Stoute: Well hip hop had been shut out for a very long time. The Grammys were so late on hip hop as an art form and they wouldn't give it on-air camera time for many, many years. Do I believe that as a result of that, they may not understand why the Marshall Mathers LP was brilliant? Probably. They might not appreciate Kanye West's Graduation, either. It sold a million copies in its first week, yet the Album of the Year [in 2008] went to Herbie Hancock, who had 55,000 units sold at that time. They're late to the cultural conversation on what really matters... NARAS voters are coming from an analog point of view, from yesterday. They're not taking the time to understand this new voice and where it's coming from. THR: How has the response been to the ad? Stoute: Great. It needed to be said, because the fans are saying it, but NARAS and the industry don't know this. And I'm not alone. I got an e-mail from [manager] Gary Gersh who said, "I could not agree more with your letter in the Times. I've been fighting with NARAS for 25 years. It started with me sitting in between Elvis Costello and the Cars, who were each up for Best New Artist off their first record. That year, A Taste of Honey won for their career-defining single, 'Boogie Oogie Ooogie.'" THR: And this speaks to your argument that the Grammys are out of touch? Stoute: You wanna know how out of touch they are? The photo they used for Jay-Z's Record of the Year nomination, it's 15 years old. That picture is from Reasonable Doubt, his first album in 1996 when Jay-Z looks 12! THR: We're estimating that the ad cost around $40,000, care to comment? THR: Why the New York Times? Stoute: If I wrote that in a blog, would it be taken seriously? The New York Times Styles section was the right place because when you see it, you have to pay attention to it. It can't go unnoticed. It's very loud when you put it in that forum. Now, it's become this open discussion online. I didn't want it to be music industry-specific. I think it's a larger topic, this generational divide. THR: Have you heard from NARAS at all? Stoute: No. I got a let's-talk-behind-the-scenes kind of thing. THR: What do you hope comes out of this? Stoute: I hope that this ignites the conversation so artists can use it as a platform to move forward and not tolerate things as they are any longer. THR: What's next for you? Are you considering a career in politics? Stoute: No, I'm not going into politics, though I feel like I'm having a Michael Moore moment. I'm just going to keep doing what I'm doing -- my marketing company and telling the truth. Let me see if I understand this. He didnt think enough about being here to support the artist but when he comes back he is going to cry about them not winning. I guess all the judges were following his lead. They went on vacation too! Steve Stoute is smart and ignorant at the same time, dangerous combination.